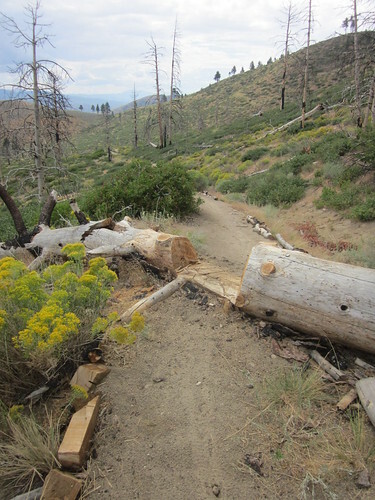 If you’ve only been riding your usual Ash Canyon loop, you may have not noticed the trail improvements over in Vicee Canyon, the next canyon to the north. 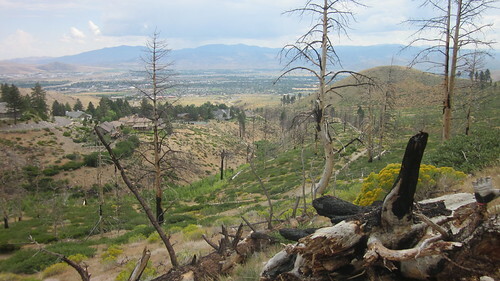 Over the years, the lower road that is above the south rim of Vicee Canyon has deteriorated. Because of better signage and all the hiking and biking now going on in this area, there is far less motorized traffic into Vicee Canyon. Less use, falling trees, and eroding spring run-off have pretty much erased the lower road up Vicee Canyon. About all that’s left now is a singletrack that mountain bikers have ridden in, cleaned up, and even improved. Earlier this year, a bridge was installed near the top of the climb. The big washout this bridge now spans used to be a section most all of us had to walk. Now it’s easy to ride this part up or down, the bridge even wide enough for most beginners. A notched out log crossing just above the bridge provides another fun challenge. There are a few ways to access the bridge trail. 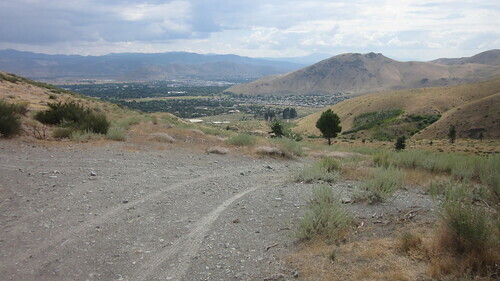 My favorite route is to climb the Vicee Rim Trail singletrack up from the V&T Bike Path. Before continuing onto the Seven Steps trail, make a right and ride up the road. It becomes singletrack just a ways up the road. After the bridge, the trail becomes a road again, and joins with another road coming in from above. 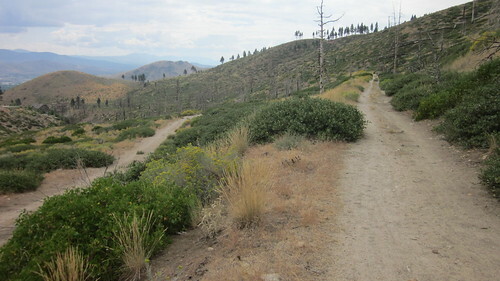 Continuing up the road will take you around to the other side of the canyon and over to Timberline Drive. Instead, make a left and head south on the upper trail. 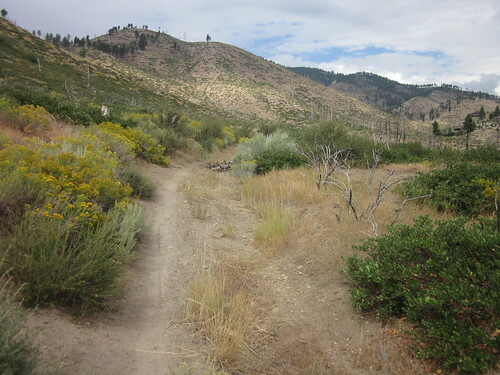 This takes you to the saddle above Ash Canyon where you can join the trail system on the other side for more riding possibilities. 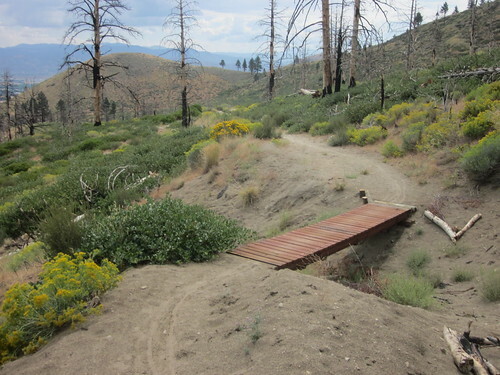 Have you ridden this trail yet? What do you think? Looks like a good alternative. Never hurts to have a diversion that might not have as much traffic! Another great option in Ash. Thanks! coming down that stretch is a smokin’ descent. Just did that today. Agreed! I prefer to climb Postal, and descend Seven Steps to access CAT. I have to get down to Carson! That looks so cool!